These are challenging day walks in Epping Forest and typically over 10 miles. A really long walk means you can truly immerse yourself in these ancient woodlands and try some of the lesser known walking routes. You can also explore some of the real hidden treasures found in Epping Forest. Always be fully prepared for good long walks and long distance walking routes by taking plenty of fluids, refreshments and plenty of plasters just in case. 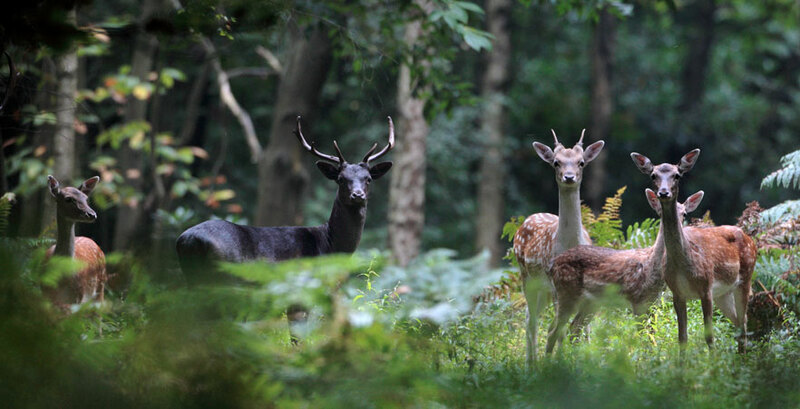 I have highlighted my favourite day walks in Epping Forest in bold below, both great walks with plenty of sightings of the Epping Forest Fallow Deer. I have taken quite a few photographs of Fallow Deer in Epping Forest but this one was taken by Iain West, you can find his website here.